Spanish architect Carme Pinós has been named as the architect for this year's edition of the MPavilion, a project billed as Melbourne's version of the Serpentine Pavilion. The Estudio Carme Pinós founder will be the fifth architect to take on the prestigious annual pavilion commission, following in the footsteps of OMA, Amanda Levete, Studio Mumbai and Sean Godsell. It will be constructed in Melbourne's Queen Victoria Gardens and used as the venue for an extensive programme of events that includes talks, workshops, performances and installations. Pinós, who is based in Barcelona, is best known for projects including the Cube II Towers in Guadalajara, the Department Building of the Vienna University of Economics and Business, and the Crematorium in the Igualada Cemetery in Barcelona. The architect said her MPavilion will "become a cultural destination for the city". "It is a great responsibility to create a unique place in this special park with views over Melbourne, a city to which I have deep attachments," she said. Like the four previous pavilions, the project is funded by the The Naomi Milgrom Foundation – an organisation set up by businesswoman and philanthropist Naomi Milgrom. Milgrom said the decision to select Pinós was based on her community-focused approach to design, which aligns with the aims of the MPavilion. 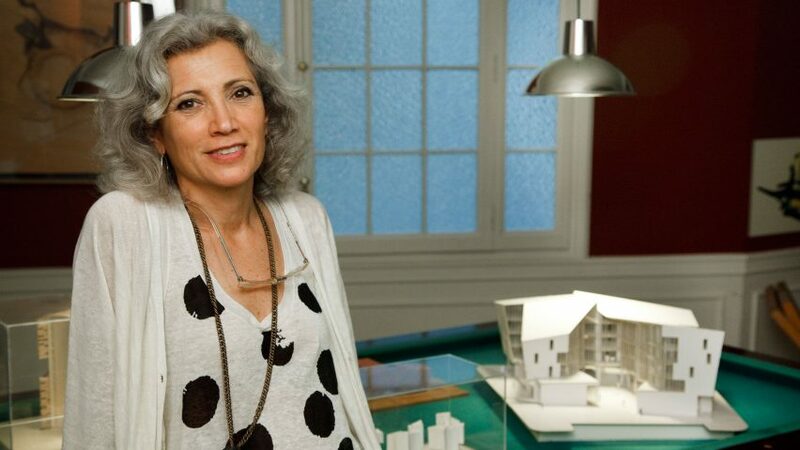 "Carme's remarkable work honours the responsibility of architecture to serve a community, by creating spaces that place human experience and environment at the centre of her designs," said Milgrom. "Her approach to architecture, social housing and community reflects MPavilion's ongoing desire to stimulate debate about the role of design and architecture in building creative and equitable cities and communities." The announcement comes the day after the closure of the MPavilion 2017, designed by Rem Koolhaas and David Gianotten of OMA. The pavilion, which took the form of a reconfigurable amphitheatre, attracted over 117,000 visitors in its four-month opening period. Like the first three pavilions, both OMA's and Pinós' structures will later find a permanent home somewhere in Melbourne, as part of an aim to create "an ongoing legacy in Melbourne’s increasingly sophisticated architectural landscape". Godsell's MPavilion 2014 is now located at the Hellenic Museum, Levete's MPavilion 2015 can be found at Collins St in Docklands and Studio Mumbai's MPavilion 2016 has been installed in Melbourne Zoo. MPavilion 2018 is due to open to the public on 8 October 2018.